A car is likely to be the second most expensive possession you ever buy. So you should spare some time to think about what you need to do to ensure that it stays reliable and is ready and safe for use in all weathers. Manufacturers take great trouble to draw up suggested maintenance and servicing plans for their cars, in an effort to encourage owners to put in the time - and money - necessary to keep them in tip-top condition. But, let's face it, no two cars - and more to the point, no two owners and the amount and the way in which they drive them - are ever the same. Henceforth, let’s traverse from Winter through to Autumn with our exclusive, comprehensive guide to tip-top vehicular health. Firstly, at the top of the year, you should draw up a monthly job list, comprising a range of tasks to be done regularly, and others added on top according to the prevailing and likely weather conditions during that month. Following on from that, the rest of our tips are ones which, if carried out at the right time of year, can help you not just keep your car running well, but also go a long way towards preventing a range of potential problems which are more likely to crop up at certain times. Let's have a run through of the seasons and see what checks you can do. During cold weather, do a monthly check of the car’s heating and ventilation system, including the heated rear windscreen and mirrors (if fitted) by switching them on and doing a visual inspection. Once winter begins to release its icy grip, it’s time to see what toll the bad weather has taken on your car’s interior. Start by vacuuming the interior carpets and upholstery, then treat more stubborn stains with a suitable cleaning product. In doing this, you might also notice that your door and boot lid hinges have started to creak due to the moisture penetrating into them during the cold weather, so now’s the time to treat them with a little lubricant. Once you can be fairly sure that the worst of the winter weather is over, it's time to inspect the paintwork. Thoroughly wash then wax the car - best done in temperatures between 13°C and 29°C. The wax will help give your car's paintwork a shine, but will also form a microscopic protective shellon top of it, from which water will disperse easily. As spring progresses and the flowers start to bloom, you're most likely to notice any shortcomings with your car’s ventilation and air conditioning systems and pollen filters (if fitted). If you are noticing any lingering smells, it could be a good time to have your air-con system re-primed with the gas which it circulates to keep the interior fresh. Pollen filters should also be replaced annually and need to be at their most effective when flowers and trees are in full bloom, so this is a task for spring. As June marks the halfway point of the year, you should assess the mileage you’ve done so far and, if you’re already above 6,000 for the year, consider having an oil change carried out. You should also check all rubber hoses for signs of brittleness and cracks by squeezing them between your fingers. Next, check for dirt and rust around your battery, as both will adversely affect its performance. A final measure is to run your car onto ramps so that you can reach the chassis, and lubricate steering and suspension components and joints. 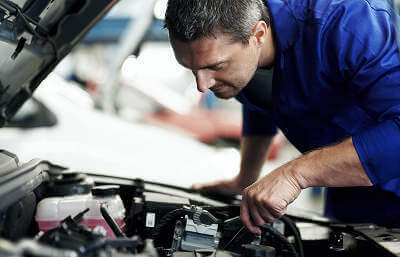 If you're taking your car on holiday during July and August, the routine monthly checks take on more significance, especially if you’ll be away from home for more than a couple of weeks. For this reason, seasonal maintenance can take a back seat, but it’s still important to stay on top of those monthly checks listed at number 2 above - not least because in many cases, a holiday trip can represent the most intensive period of use a car gets at any time of the year, and a breakdown is sure to put a major dampener on your break. Once back from your big annual break, you should anticipate the winter to come by giving your car a thorough clean and final waxing of the year. And as the leaves start to fall from the trees, it’s time to pay extra attention to always having your windscreen washer reservoir topped up. Use water and add a manufacturer’s recommended concentration of washer fluid, which contains ingredients to help prevent it from freezing, and make it more effective at removing stubborn deposits. As the year winds up, you need to be sure that you’re kitted out to cope as soon as the first snow arrives. So your routine tyre check takes on extra importance, especially as worn tyres plus an icy road may mean it can take you up to 10 times the normal distance to stop safely, should you need to. If you regularly travel in snow, it’s also a good idea to put a spade, spare pair of rugged footwear, extra overcoat and a torch in your boot, so that you can at least start to dig yourself out if you get caught in treacherous conditions. What About Tasks You Can Complete The Whole Year Round? Headlights, rear lights and indicators. The Windscreen - check for cracks and signs of damage which could become a full-blown crack. Also, check the level of fluid in the windscreen washer reservoir, and, if necessary to help prevent its contents from freezing, add a suitable additive, making sure you do so in the concentration recommended by its manufacturer. Windscreen Wipers - lift them off the screen and inspect for signs of splits or cracks which will hamper the blade's’ ability to keep your screen clear. Oil Level - now where under the bonnet to find your car’s dipstick, and how to read it. Usually, the oil level should be kept between two notches on it, designed to indicate maximum and minimum recommended levels. Time permitting, wash your car at least once a month. This is also useful in getting you to take a close look at the bodywork and trim, and spot any damage or issues which might need further attention. These points may all seem to be encouraging you to think on the bleak side every time you travel. But when you have the prospect of facing the full array of conditions the good old British weather can throw at you and you still need to get about safely, you’ll be the one who has the best chance of being able to get through when other, less well prepared drivers are getting stuck.